According to Susan G. Komen Foundation, invasive breast cancer is the most common type cancer affecting women worldwide, and the second-most-common type of all kinds of cancers. Therefore, early detection and successful treatment are crucial for survival. Apart form conventional methods of treatment such as surgery and chemotherapy, studies on CBD indicated that it has the potential to offer the hope of a non-toxic therapy that could cure the breast caner without any of the painful side effects. Can CBD help treating Breast Cancer? Researchers have found evidence that CBD could induce programmed cell death in breast cancer cells. By inhibiting the proliferation and inducing the death of cancer cells, CBD can be a effective and non-toxic therapy for breast cancer. In 2007, Dr. Sean McAllister and his research team were one of the first to discover that CBD’s cancer-fighting properties could be successfully applied to breast cancer. Later on, Ashutosh Shrivastava, Paula M. Kuzontkoski, Jerome E. Groopman and Anil Prasad, these scholars kept on studying whether CBD can treat breast cancer for several years. 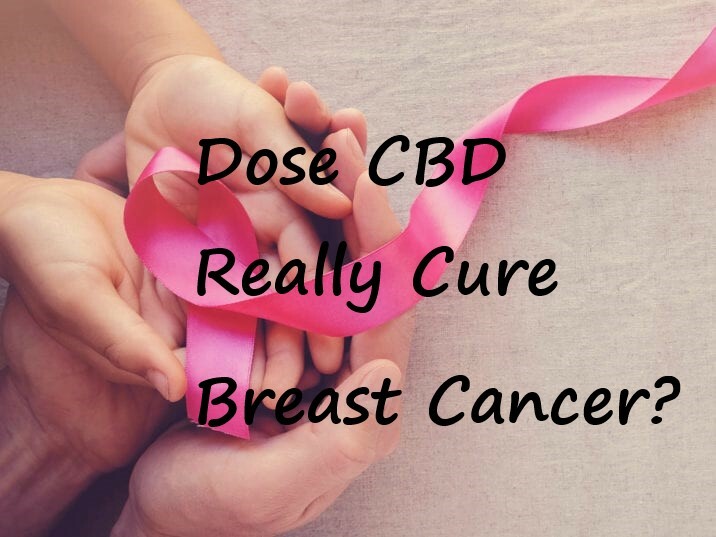 By treating cells with CBD for 24 hours, they proved that CBD significantly decreased cell viability of estrogen reporters, which plays an important role in influencing the sensitivity of breast cancer cells to anticancer agents. After a lot of cell experiments like this, they found that CBD inhibited the survival of both estrogen receptor-positive and estrogen receptor-negative breast cancer cell lines and induced apoptosis in a concentration-dependent manner. Moreover, during these processions, CBD had little effect on MCF-10A cells, nontumorigenic, mammary cells. These data enhance the desirability of CBD as an anticancer agent, because they support that CBD preferentially kills breast cancer cells, while minimizing damage to normal breast tissue. For more details about their studies, you can read their thesis– Cannabidiol Induces Programmed Cell Death in Breast Cancer Cells by Coordinating the Cross-talk between Apoptosis and Autophagy on AACR Journals. According to U.S. Department of Health’s National Cancer Institute in 2016, through laboratory studies using rats and mice, U.S. researchers found that cannabinoids may inhibit tumor growth or even may be able to kill cancer cells. And they believe that CBD may make chemotherapy more effective and increase cancer cell death without harming normal cells. 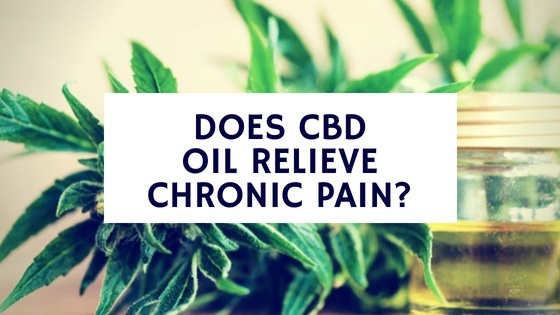 However, studies have not yet been conducted on humans to determine the effectiveness of CBD as a CAM(Complementary and Alternative Medicine) treatment for cancer by itself. But studies and trials have already been conducted on the effects of marijuana usage for managing the side effects of various forms of cancer treatments. These studies have found marijuana can be beneficial to address several types of side effects, including: nausea and vomiting, inflammation, pain and soreness, stress and anxiety, insomnia and loss of appetite. Based on these cells experiments and later animal experiments, CBD has been proved a potential safer therapy for breast cancer. Nowadays, researchers are trying to do clinic trials to make CBD a practical way to cure breast cancer. How Does CBD Work on Breast Cancer? After a large number of studies, strong evidence now suggests that the ID family of helix-loop-helix proteins control cellular processes related to tumor progression. Recently, ID-1, an inhibitor of basic helix-loop-helix transcription factors, has been shown to be a key regulator of the metastatic potential of breast and additional cancers. Using antisense technology to reduce ID-1 can lead to significant reductions in breast cancer cell proliferation and invasiveness in vitro and metastasis in vivo. CBD, a low-toxicity profile cannabinoid, can be used as one kind of antisense ID-1 which inhibits ID-1 expression at the mRNA and protein level in a concentration-dependent fashion. In addition, CBD significantly inhibited the survival of both estrogen receptor-positive and estrogen receptor-negative breast cancer cell lines and induced apoptosis in a concentration-dependent manner. On the one hand, CBD can weaken the breast cancer cells and finally kill them; on the other hand, CBD makes cancer cells more sensitive to anticancer drugs and let drugs kill them more easily and effectively. 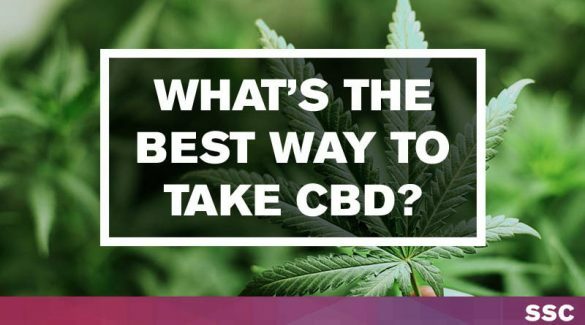 With its anti-tumor properties and pain relief, CBD can make the whole treating process for breast cancer patients less painful and more bearable. CBD drugs for side effects caused by chemotherapy has already been used in U.S. and other countries. 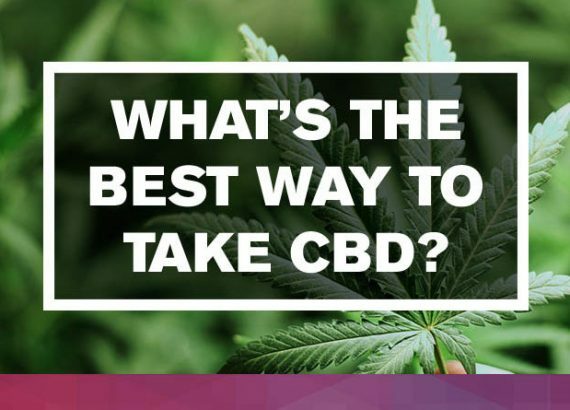 And based on a lot of experiments done by scientists and researcher around the world, CBD has been proved effectively in treating breast cancer and other additional cancers in mice. Since mice have similar physiological structure with human, there are reasons to believe that CBD can be a safer and non-toxic therapy for human breast cancer as well. However, reported side effects of medical marijuana include increased heart rate, low blood pressure, dizziness, fainting, hallucinations, and paranoia. Thus, more experiments on animals to find all the possible side effects CBD may cause, and clinic trials to finally confirm its curative effect are indeed. The existing CBD products includes oil, tincture, vape, pill, gummies, beverage and so on. They are legal in many places right now and you can easily purchase these products online. CBD products now has been used for alleviating depression, acne, insomnia, chronic pain, seizures and so on.